Research on the health impacts associated with air pollution is becoming more readily available to the public daily. 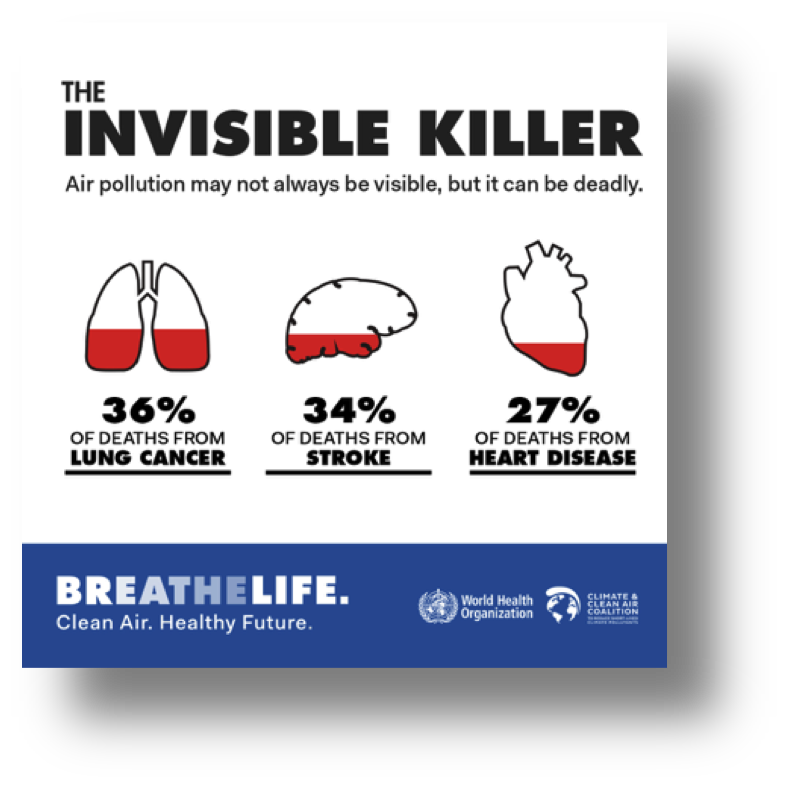 The WHO provides research and statistics now linking air pollution to cancer, stroke, heart and lung disease. As research continues to develop, proving that there are serious health risks associated with exposure to air pollution at all levels; we have to ask, why isn’t this a much bigger concern for policy makers? While the EPA Clean Air Act has made significant strides over the years in reducing air pollution, there is still a concern in regards to management and clean-up when there are unsafe levels of pollution. Pollution levels can peak in areas due to a variety of reasons such as wildfires, temperature spikes, and climate change. Coates suggests, “Limiting the overall load of air pollutants is a better way to address hotspots and is already working well under the Clean Water Act” (Forbes).